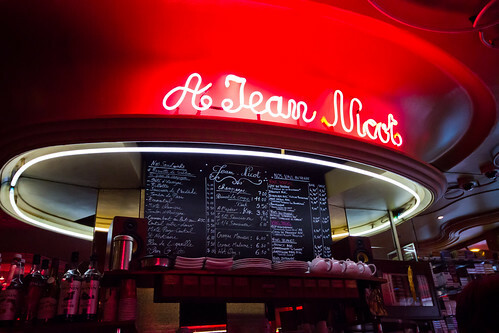 One early Friday evening, we stopped by Jean Nicot for a croque monsieur - an eat.shop guide recommendation. As I've stated before, our eat.shop guide has provided us with consistently good dining recommendations, and Jean Nicot was no exception. 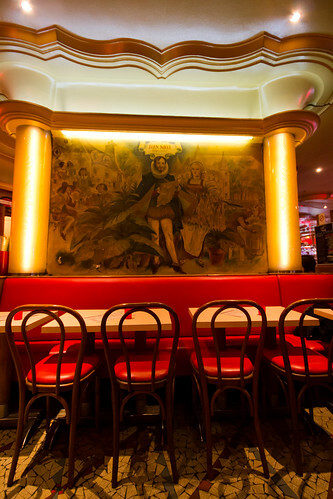 Walking into Jean Nicot is like walking back in time by about 80 years; it is the quintessential classic Parisian bar (or so it felt like to me), and while the decor is quaint, the place is well-kept and by no means feels out of style. The outdoor patio seating was hopping with happy hour patrons. 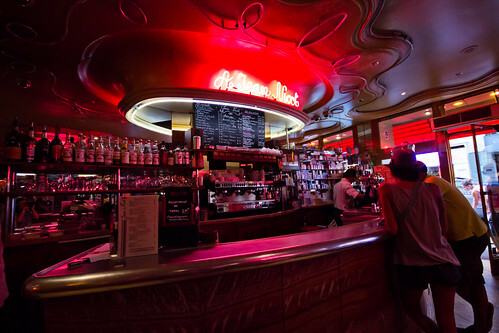 Inside is a bar and tobacco counter along with more traditional seating. 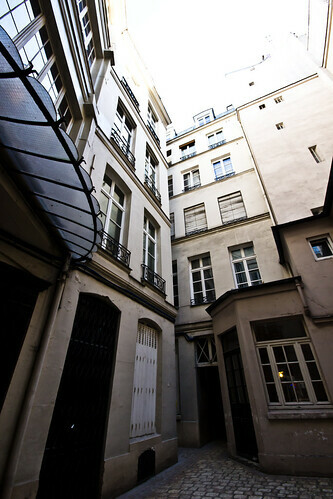 There is also a very old courtyard out back. The owner, Cyril Moucadel, is one of the nicest and most charming people I've ever met. 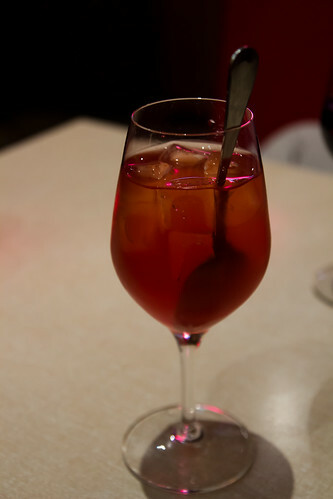 He noticed I wasn't ordering an alcoholic drink, so he offered to make something special for me - wine mixed with a grapefruit aperitif. 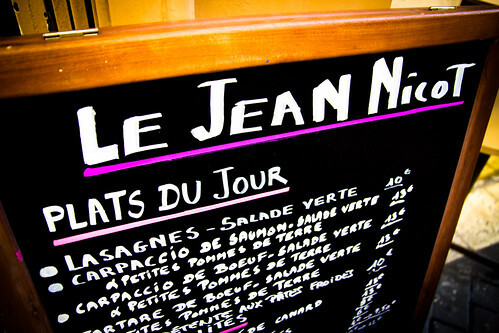 The one thing our eat.shop guide didn't mention about Jean Nicot is that food is mainly served during the lunch hours. By the time we visited in the early evening, only a limited selection of items was available. Luckily, I was still able to get that Croque Monsieur I was there for. 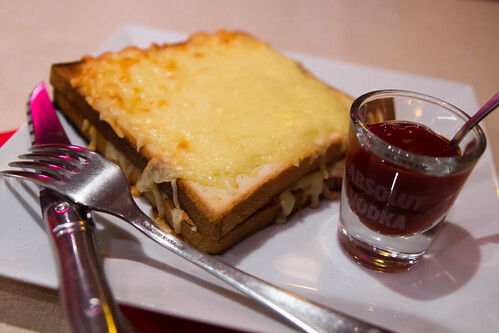 As the eat.shop guide had promised, my croque monsieur was excellent and perfectly cheesy. It was just what I was looking for. 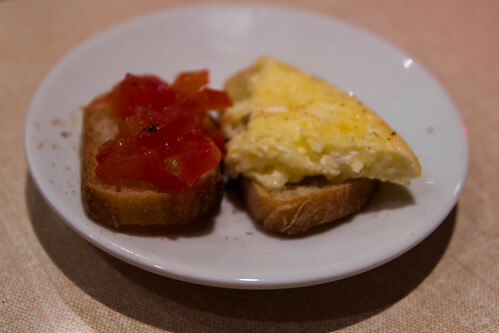 The owner also brought out some complimentary bruschetta. We chatted with him for a little bit. We really enjoyed our visit to Jean Nicot and appreciated the warm hospitality. It made for a memorable experience. 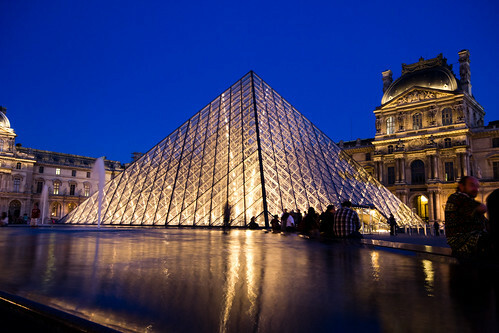 That night, we took advantage of the extended hours at the nearby Louvre and went for a visit after our meal at Jean Nicot. I thought I'd end this post with one of my favorite shots of the famous museum. Oh Paris, how I miss thee!